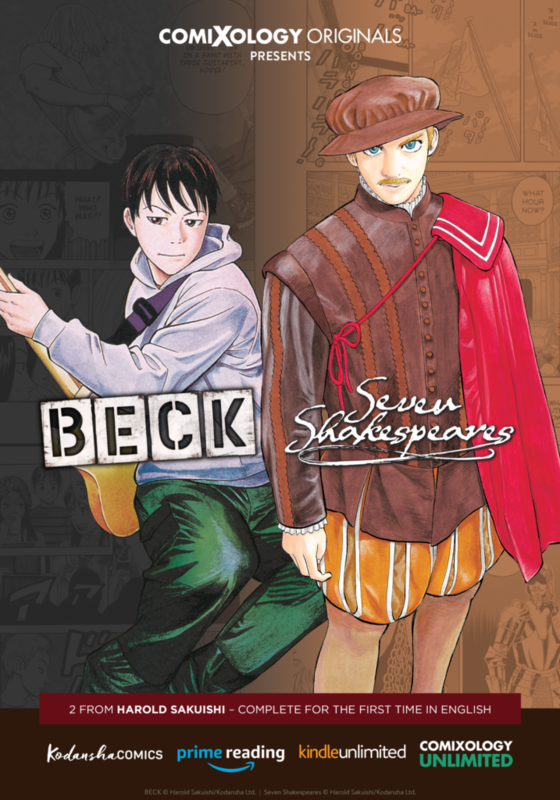 Today, comiXology and Kodansha Comics, announced the debut of two new manga series BECK and Seven Shakespeares from master mangaka Harold Sakuishi as part of the growing line of comiXology Originals titles. Sakuishi’s best-selling manga series BECK returns to readers with new, never-before-translated volumes and debuts today with the first 14 volumes available to read now. This release of BECK will see the series completed for the first time in English. In addition, Sakuishi’s new ongoing series Seven Shakespeares launches for the first time ever in English with 4 volumes available today.